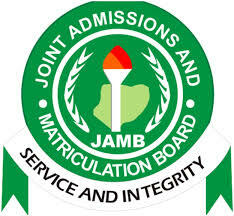 JAMB Government Syllabus 2019 is Out…The Government 2019/2020 JAMB Unified Tertiary Matriculation Examination (UTME) Syllabus is aim at preparing candidates for the Board’s examination. 8. Assess the role of Nigeria as a member of the international community and the workings of international organizations. N/B: This Syllabus is divided into Four Consecutive parts. Political processes;political socialization, political participation, political culture. Monarchy, aristocracy, oligarchy, autocracy, republicanism, democracy, definitions, features, merits and demerits. Distinguish between different forms of government. The judiciary – functions, powers, components. Appreciate how these arms interrelates. Confederal – features, reasons for adoption, merits and demerits. Compare the various political structures of governance. Distinguish between the different systems of governance. Communalism, feudalism, capitalism, socialism, communism, totalitarianism, fascism, nazism. Meaning, sources, functions, types – written, unwritten, rigid and flexible. Compare the nature of constitutions. Ethics and accountability in public office, separation of power, checks and balances, individual and collective responsibility, constitutionalism, rule of law, representative government. Legislative enactments – acts, edicts, bye-laws, delegated legislation, decrees. Analyse the processes involved in the making of laws. Duties and obligations of the state. Assess the obligations of the state. Electoral commission – functions, problems. Analyse the various electoral processes. Political parties – definition, organization, functions. Party systems – definition, organization, functions. Distinguish between types of party systems. Differences between pressure groups and political parties. Distinguish between pressure groups and political parties. Analyse the limitations of public opinion. Analyse the significance of civil service in governance. The functions of their various political institutions. Compare pre-colonial systems of governance. Comparison of british and french colonial administration. Distinguish between british and french colonial practices. Assess the impact of external forces and ideas (pan-africanism, back-to-africa movements, second world war etc). their features, merits and demerits. Compare the various constitutional developments. 1963, 1979, 1989 and 1999- characteristics and shortcomings. Assess the workings of the various constitutions. The legislative – structure, functions and working. The executive – structure, functions and workings. The judiciary – structure, functions and workings. Evaluate the operations of the arms of government and their agencies, e.g the civil service, armed forces, police, courts and others. The civil service commission, the public complaints commission, electoral commissions, national boundary commission and others – objectives functions and problems. Assess the problems of the public commissions and their constraints. Fourth republic – evolution, membership spread, structure etc. Evaluate the ideologies, structure and composition of the political parties. Problems of nigerian federalism – census, revenue allocation, conflicts etc. Solutions e.g. Federal character, etc. Evaluate the corrective measure adopted. d. Comparison between public corporations and parastatals. Assess the economic importance of privatization and commercialization. Problems of local government administration in nigeria. Identify the major problems faced by local governments. Impact of military rule – political, e.g creation of states, introduction of unitary system (unification decree no. 34) etc. Economic, e.g sap, etc. Determine the conditions that necessitated withdrawal from governance. definition, purpose, determining factors; formulation and implementation. Relations with developing countries, e.g the technical aid corps (tac), etc. Identify the major objectives of Nigeria’s foreign policy. Nepad – origin, objectives and implications. Assess the role of nepad in developing africa. Assess their contribution to the development of nigeria. origin, objectives, structure, functions, achievements, problems and prospects of these organizations. Appreciate the challenges of these organizations and how they can be overcome. Adigwe, F (1985) Essentials of Government for West Africa, Ibadan: University Press Plc. Olawale, J. B (1987) New Topics on Ordinary Level Government, Ilesha: Jola Publishing. Oyediran, O. Nwosu, H., Takaya, B., Anifowoshe, R., Femi, B., Godwill, O. and Adigun, A. (1990) Government for Senior Secondary Schools, Books 1, 2 and 3, Ibadan: Longman. Oyovbaire, S., Ogunna, A. E. C., Amucheazi, E. C., Coker, H. O. and Oshuntuyi, O. (2001) Countdown to Senior Secondary Certificate Examination: Government, Ibadan: Evans.